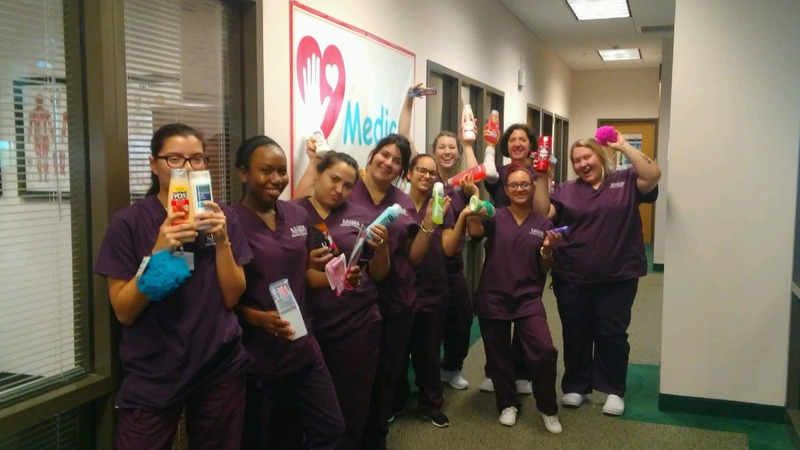 Tampa’s Medical Assisting students wanted to show support for Domestic Violence Awareness month by collecting 360 personal care items for the area domestic violence shelters. Domestic Violence Awareness Month (DVAM) evolved from the “Day of Unity” held in October 1981 and conceived by the National Coalition Against Domestic Violence. 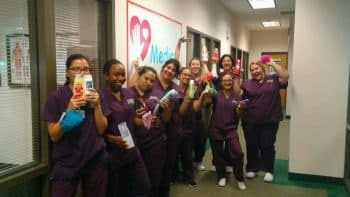 The intent was to connect advocates across the nation who were working to end violence against women and their children.